Whether you’re able to travel to faraway places, or just want to bring the ocean to your doorstep over the colder season, here are a few ideas to get you started. If you’re facing dark nights and visits from Jack Frost, you may well fancy a bit of winter sunshine to warm your toes. 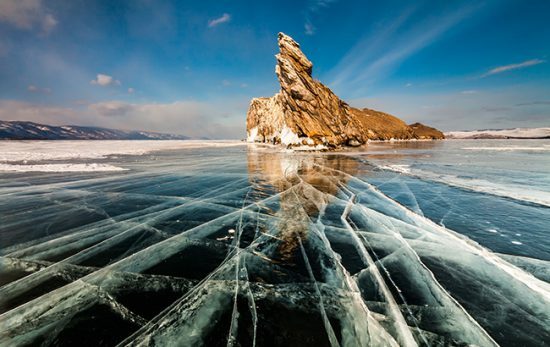 Here are just a few of many destinations where you can bask in golden rays, blue skies and even bluer oceans at this time of the year. 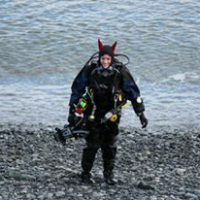 This region offers warm and wonderful dive sites suited for beginners and experienced divers alike, with options for both boat and liveaboard trips. Try Hin Daeng for an impressive wall dive visited by large numbers of manta rays. Further north, at the Similan Islands, Richelieu Rock is teeming with colourful corals, tropical fish, and a chance to spot whale sharks. 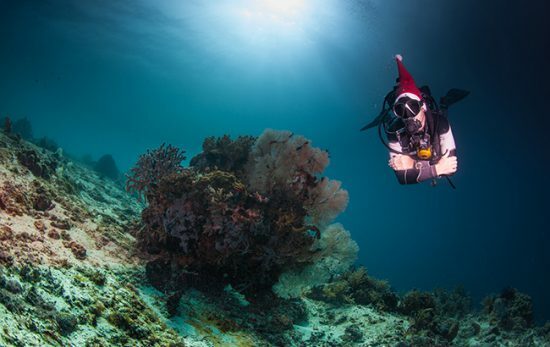 For a festive theme, head to Christmas Point — a set of pinnacles punctuated with corals, crevices, caves, and an abundance of larger fish and sharks. Read more about diving in Thailand. 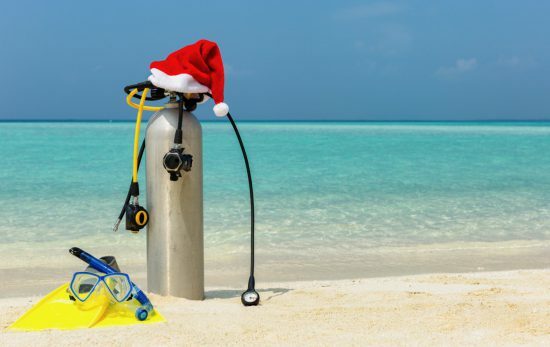 December marks the start of summer in this Southern African paradise, with waters reaching a sublime 32°C/90°F. Here you’ll encounter tranquil coral reefs, plentiful fish, exhilarating drift dives, and a possibility of whale sharks and humpback whales. 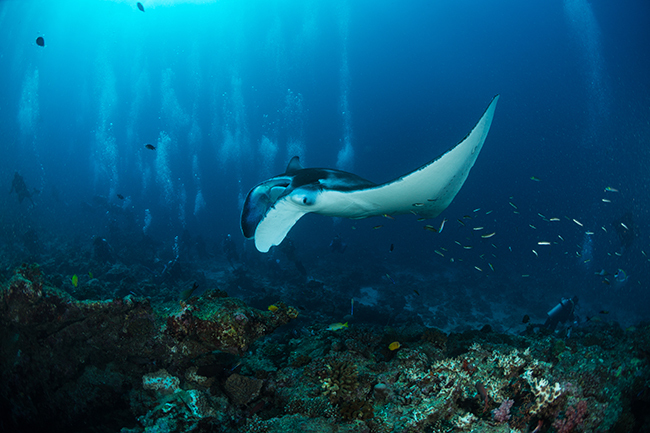 Tofo’s Manta Reef is a world-famous cleaning station for manta rays, while the Bazaruto Archipelago is a hotspot for dugongs. With options for all levels of diver, Ponta D’Ouro delivers with white sands, big pinnacles, and regular sightings of sharks, moray eels and octopus. 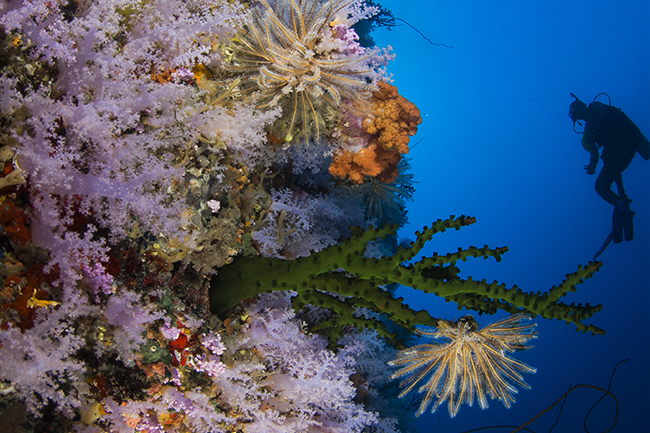 Read more about diving in Mozambique. 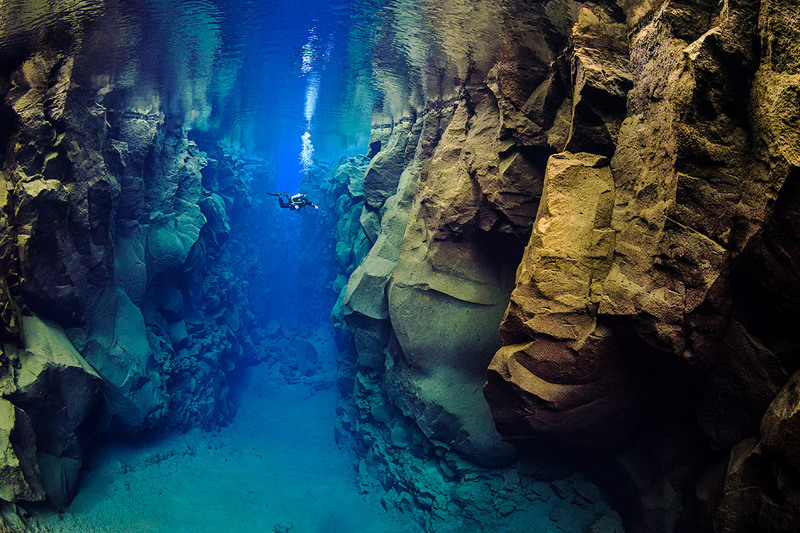 This subtropical destination enjoys a warm climate year-round, with waters rarely dropping below 26°C/79°F. The region is famed for its Blue Hole at Lighthouse Reef — a 135m/450ft deep sinkhole where you can watch bull sharks against a backdrop of awe-inspiring cave formations. If you travel north, stop to admire the mighty elkhorn corals at Hol Chan Marine Reserve, while in the east, Turneffe Atoll is sure to impress with coral-encrusted walls, giant gorgonians and mangroves full of juvenile fish species. 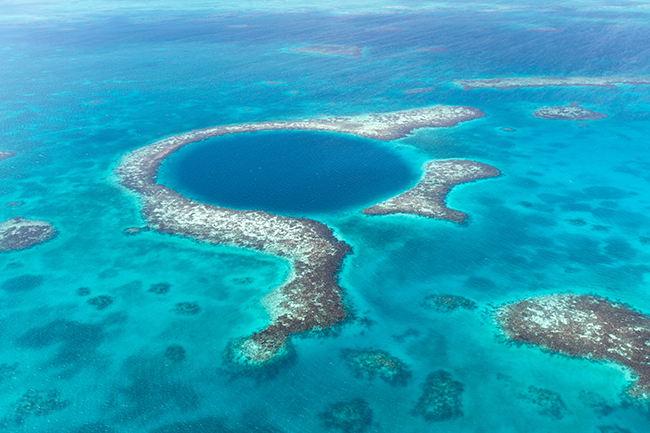 Read more about diving in Belize. Entering its dry season in January, this diverse Caribbean island is renowned for bucket list dives such as Bianca C (a 180m/600ft ocean liner 50m/164ft deep that includes an intact bow and swimming pool) and the Underwater Sculpture Park (an artificial reef and artwork project by Jason deCaires Taylor). The Hema 1 wreck is great for nurse sharks and huge schools of spotted eagle rays, while Flamingo Bay’s Marine Protected Area is home to wrasse, parrot fish, jacks, seahorses, pipefish and many more reef species. 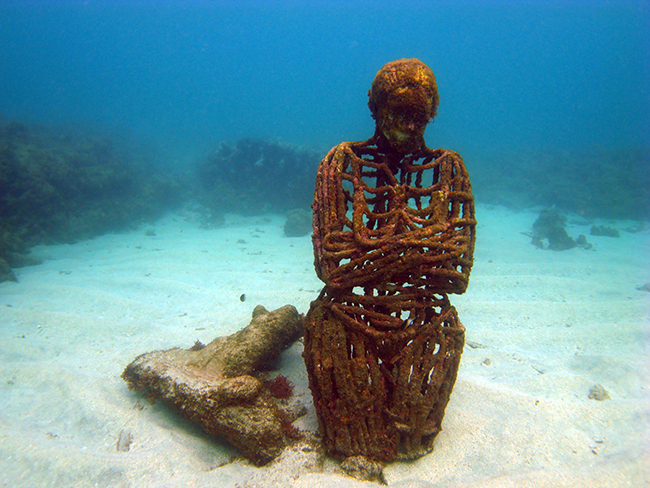 Read more about diving in Grenada. This idyllic destination in the South Pacific lays claim to the world’s third largest barrier reef, and the title of ‘Soft Coral Capital of the World’. One of many reasons why (and a must-dive spot) is the Great White Wall, a unique display of soft corals that appear white from afar but reveal a catalogue of colours close-up. Kadavu’s Great Astrolabe reef is full of fascinating topography and a good place for manta ray encounters, while Bligh Water is known for its vibrant mixtures of corals, sponges, fish, barracuda, turtles, and visiting pelagics. 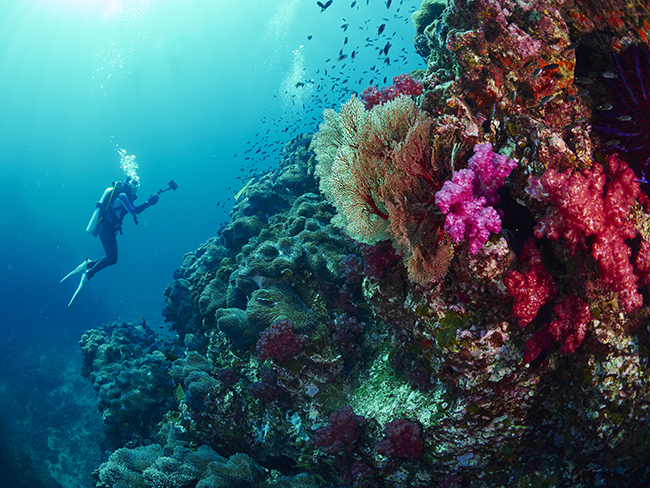 Read more about diving in Fiji. With little rain and averaging 25°C/77°F in January, this archipelago north-west of Africa is perfect for winter sun getaways closer to Europe. 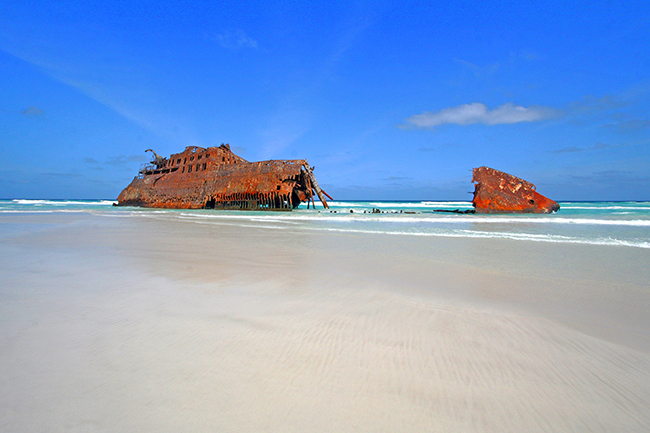 The dive sites around Sal and Boa Vista offer coral-studded walls, volcanic rocks and intact wrecks. For an extra thrill visit the Buracona cave, where ethereal lights and shadows are a photographer’s dream come true. The marine world flourishes here, from nudibranchs and octopus, to stingrays, sharks and turtles. Look to the blue and you may even see a pilot or humpback whale pass by. 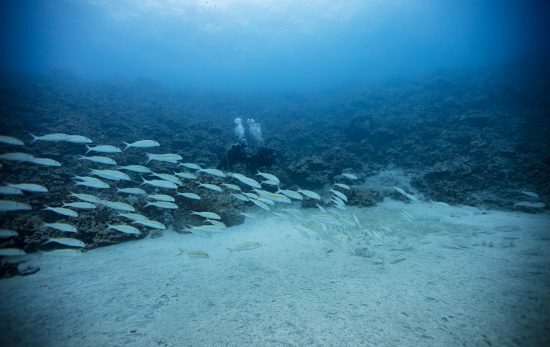 Read more about diving in Cape Verde.